When Stampin’ Up! was young, I wondered how involved in the company our family would want to be as they got older. 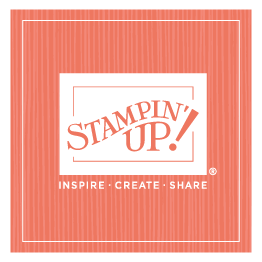 I sometimes worried that no one would love Stampin’ Up!—our employees and our demonstrators—as much as me. Thankfully everyone has had some involvement at one point or another in their life, and several are currently working for Stampin’ Up! It’s been a blessing to work with family and most recently to work so closely with Sara. Sterling and I are especially pleased with how she’s stepped up this past year as Interim CEO and have felt for many months that making this transition sooner rather than later was the right thing for us, for Sara, and for the company. I’m excited to let you know (it was announced yesterday) that Sara is now the official CEO! She is competent, creative, and committed to Stampin’ Up!, and I know she’ll be an incredible leader for many years to come! I’m most excited about the opportunity to collaborate with Sara as well as have more flexibility in spending time with Sterling doing some of the things on our wish list. I feel like I get to enjoy the best of both worlds! And I’m so grateful to Sara and her family for loving Stampin’ Up! enough to carry on the vision that began 28 years ago—a parent’s dream come true. Just a note: I'll still be posting on my blog regularly. If you'd like to connect with Sara, you can find her on Facebook and on Instagram, Twitter, and Periscope under the username @asarathing.